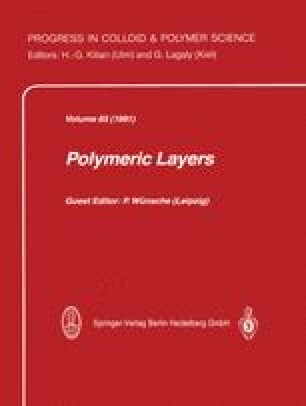 We have studied the surface and bulk deformation of polystyrene layers charged and heated to glass transition temperature T g. Our layers have a modified surface obtained by ion bombardment. The experimental results lead to the conclusion that after charging and during heating, the surface charge produces an effect which, at room temperature, predominantly runs to surface energy with a consequent decreases of the surface tension. At temperatures near T g, deformation of the polystyrene layer prevails. We have proposed a molecular model for the frost-effect.